Well summer has arrived, temperatures are now really high and you are in Mykonos island! Many beaches and venues call for summer days fulfilling the dreams of holidays that must include everything you desire. Wondering where to find everything in Mykonos island regarding food-drink and fun? We do have the answer and it starts with two letters: DK Oyster Bar & Restaurant. Really close to the capital of Mykonos, there lies the beach of Platys Yalos. One of the best organized beaches on Mykonos island, next to crystal clear waters and golden sand that make up the picture-perfect scenery for the iconic beach of Mykonos. 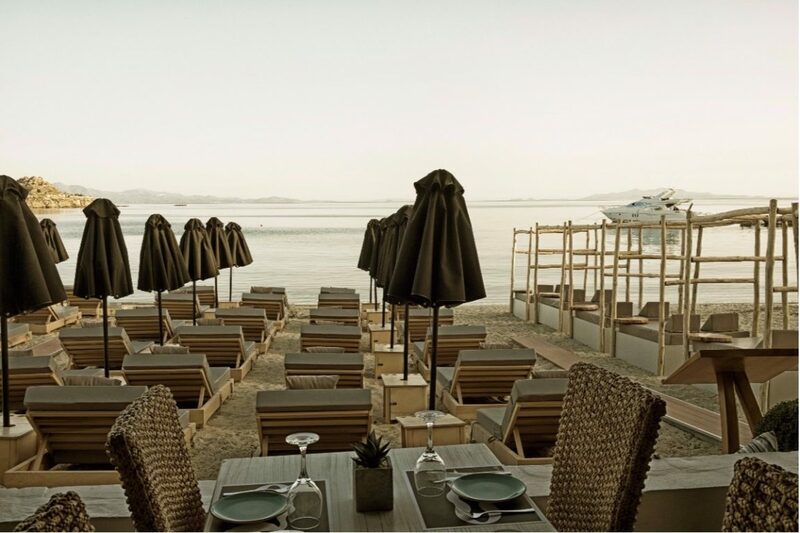 In the heart of this summer paradise, you will find the new Mykonos beach sensation called DK Oyster Bar & Restaurant. After a major renovation, the beach of Platys Yalos acquired its black pearl of refined tastes and entertainment. In the menu the freshest fish and oysters, rare cuts and only fresh vegetables from local gardens and orchards; at the bar innovative and creative cocktails and from the cellars come the greatest champagnes; last but not least, on the decks two different DJ sets will daily make you move to the sounds of summer! We created DK Oyster Bar & Restaurant having just one thing in mind: to make you feel wonderfully summery and find everything regarding food-drink and fun on the island of Mykonos under the same roof- or in our location under the same umbrella.